Fitness has plenty going for it, but it also has its ugly, smelly, awkward, and judgy side. Here are 10 legit problems from the life we love, and what you can do to overcome them! There's no denying that getting fit is an amazing accomplishment. One day, after months or years of struggle, you wake up and discover that you look great, feel better, and have strength you'd never even imagined. End of story, promise land achieved...right? If only! The truth is that your new awesome body and confidence level bring with them a bevy of new complications—some embarrassing, some hilarious, occasionally both. Some happen in the gym, others in the dressing room, and a couple have more to do with other people than with you—although they still end up being your problem for some reason. 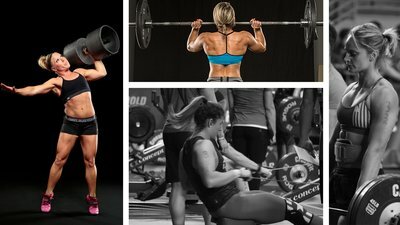 Although every fit lady has experienced at least a couple of these, you'd never know it, because nobody is talking about them! But let's not fool ourselves. There's always someone—assholes, they're called—who is very open about telling you exactly what they think about your body, and how "You'll never find a man if you look like a dude," because, you know, that's every woman's ultimate purpose in life. Fit-Girl Problem 5: So. Much. Hunger. Muscle takes a lot of energy to feed. The more you have, the more it feels like eating is your full-time job. Hopefully you work in a place where hardened calluses, half-healed rips, and chalk stains are viewed as professional work wear. OK, this isn't exactly something nobody talks about—on the contrary, some people can only talk about their clique. Nor is it exactly a gender-specific problem by any means. But it's magnified in the women's-fitness world because there are far fewer resources for us to utilize and communities for us to participate in. One person's goal is no better or worse than anyone else's.